For so diverse a group of birds, generalizations are difficult. As did Bertram Smythies in the first edition of this encyclopedia, one cannot do better than to quote Jean Delacour, from his monumental 1946 monograph of the babblers: "They move restlessly among twigs and on the ground; they hop about and dig among fallen leaves. Usually they live in the undergrowth, sometimes on the ground among dense plant growth, fallen branches, climbers and evergreen trees, where they can be observed searching for berries and insects. While doing so, they move busily, flutter the wings a great deal, wag their tails and utter noisy calls. As rule, they are loud and varied vocally, hence the name babbler, for they are virtually never quiet. Some sing very well and their full melodies ring out far. Outside the breeding season, they move about in small troops. 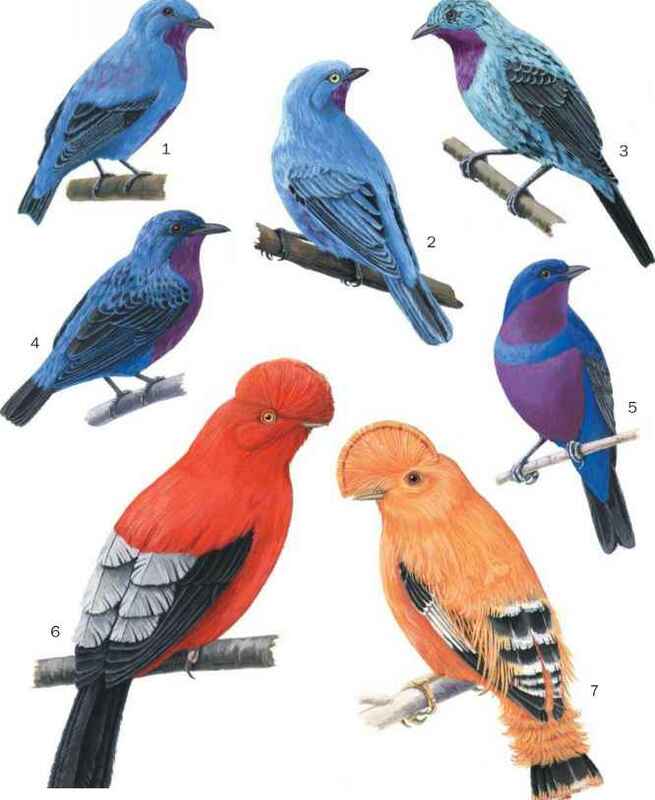 Often they join with other birds into the mixed flocks characteristic of tropical forest, all seeking food together." Delacour's description fits most of the forest-dwelling babblers fairly well. It is in other sorts of habitat that particularly interesting variations have evolved. The Arabian babbler ('Turdoides squamiceps), of the semi-desert, with its highly developed "tribal" social system, and the semi-aquatic bearded reedling (Panurus biarmicus) of the marshes, are two striking examples.